Hello! Can you believe it's the last day of April? I don't think the weather knows! This week we are saying goodbye to some of the lovely ladies who've been our Design Team Sweeties - we will miss you! Be sure to keep following their blogs, they will still be out there papercrafting and sharing lots of inspiration! We'd love to see your creation using white on white plus one color, so come and join the fun! 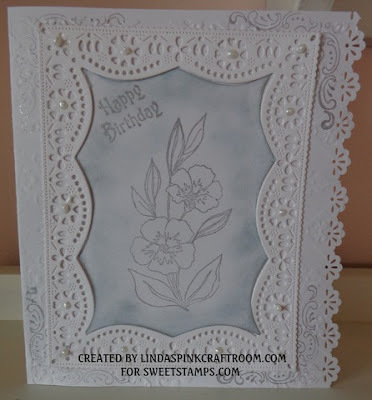 You could win a $20 shopping spree for goodies at SweetStamps.com's online store by playing along in our challenge. Check the tab above for our complete Challenge Rules. 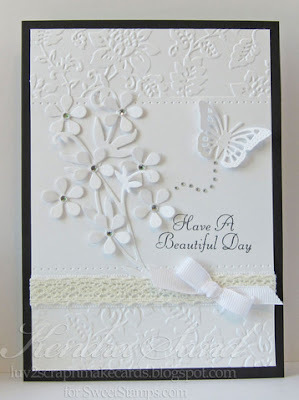 Dawn broke two fingers (OUCH) so she won't have a card for this week...stop by her blog and send her some get well wishes! Join our Monthly Technique Challenge (Stamp A Background) that runs through May 14th. Check out the monthly challenge here. Next week's challenge theme will be For Mom. Hope you'll join us for your chance to win some sweet stamps & stuff! 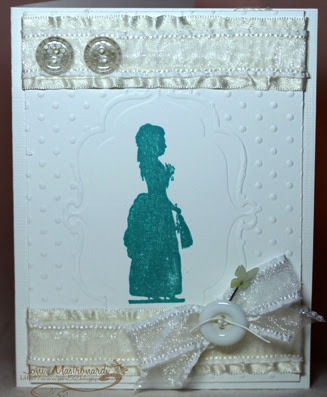 Please contact me for your winning prize of a $20 shopping spree at shop.SweetStamps.com. Thank you to everyone who joined in on the challenge, we hope you had fun and will join us again — we have a NEW technique challenge every month, along with a weekly challenge each Tuesday! 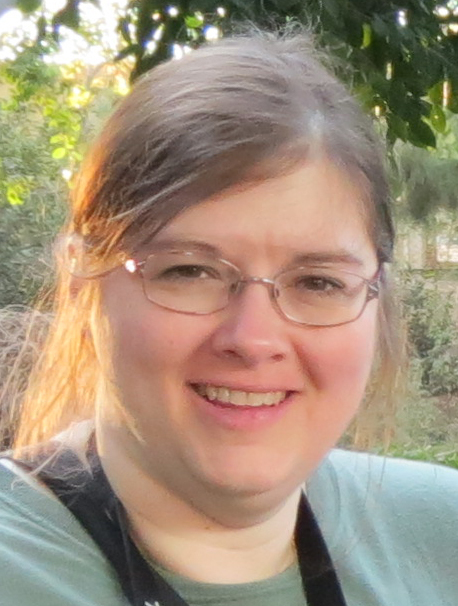 Hi everyone, Monica here with a mixed-media project to share with you. I know how amazing the Globecraft jewelry pieces are and so today I want to show you what else you can do with them. 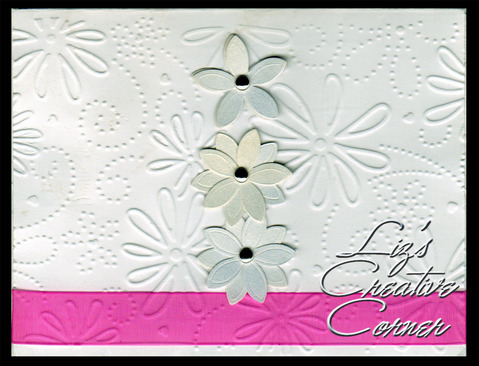 Punch out the pieces from the bookboard and then what you are left with is an amazing stencil for mixed-media projects. 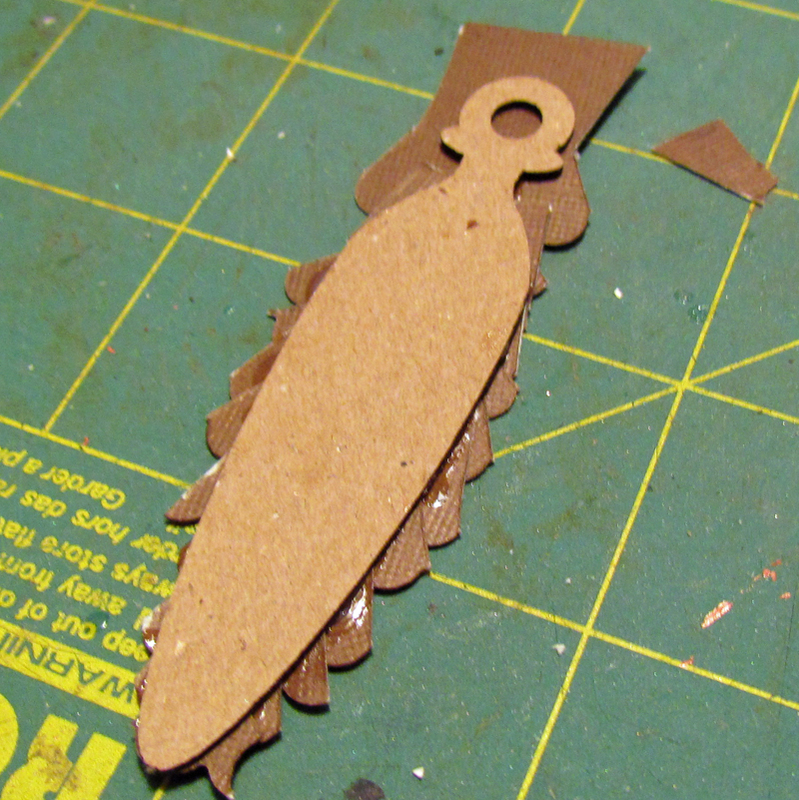 Step 1: Using the bookboard backing as a stencil, drag modeling paste across the opening using a spatula. Step 2: Place the punched-out charm piece on top of the modeling paste image and apply heat with a heat tool. 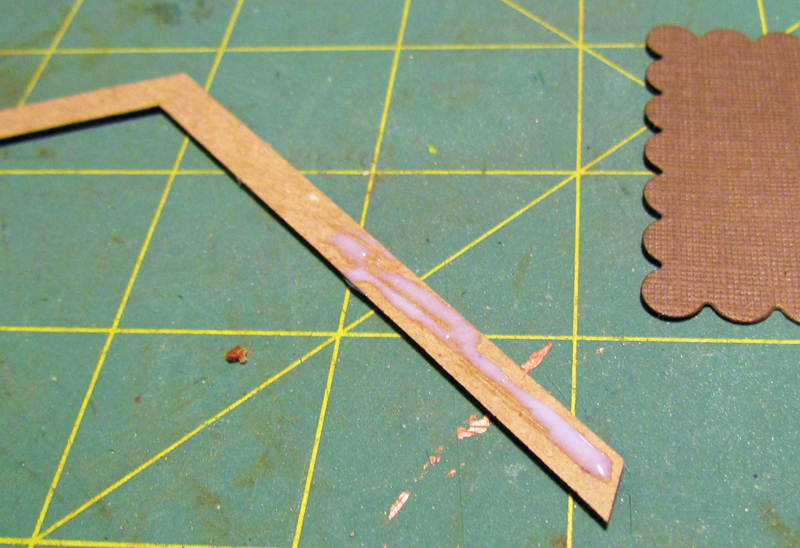 The heat causes the modeling paste to bubble and give a nice texture. Step 3: use color mist sprays, paints or inks to color. Hope everyone enjoyed my project today. Be sure to keep all those extra and leftover pieces to use in some mixed-media fun! 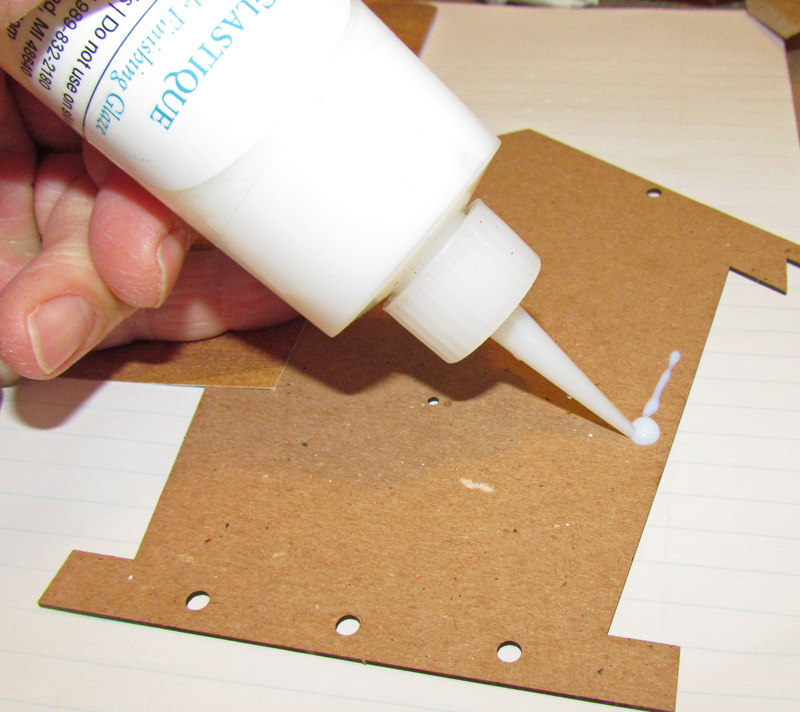 Hello, it is Laura, and today I am using one of the Painting Surfaces from Globecraft on my scrapbook page. 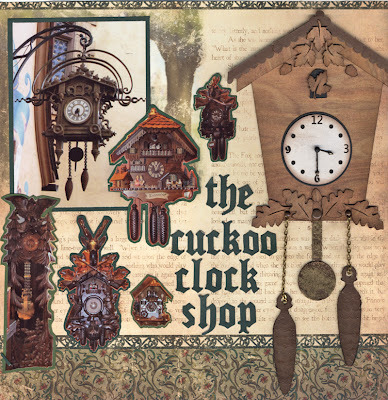 I chose the lovely Cuckoo Clock. Since most of you probably know how to set up a scrapbook page, and you wouldn't have the same photos as me anyway, I am going to focus on how I decorated the clock for this page. I have included ALL the products for the page in the materials list. 1) Run a little Glastique around the top of the clock. You will be using it as an adhesive. 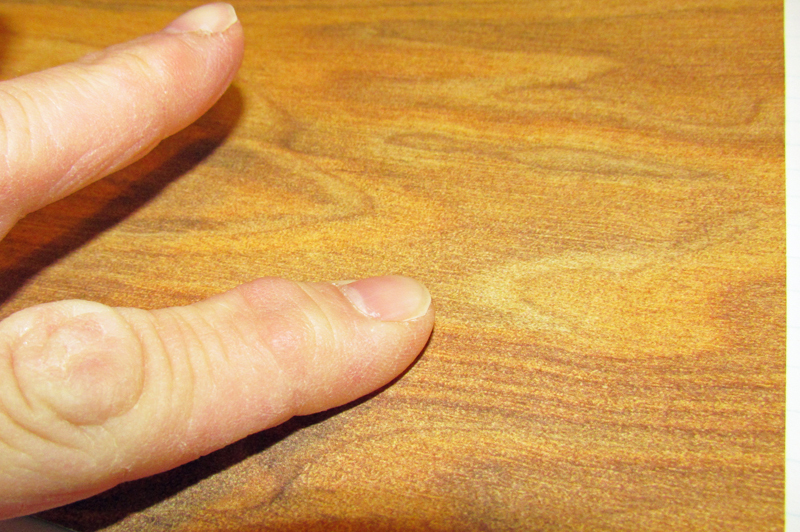 2) Place the wood grain paper over the clock and rub down with your fingers. 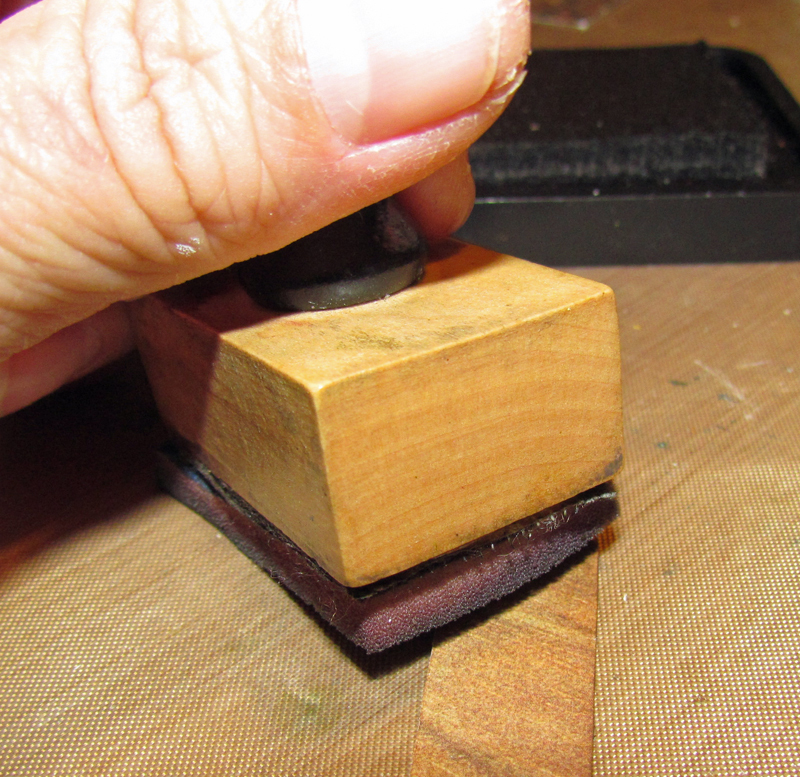 If you have a brayer, you could use it instead. 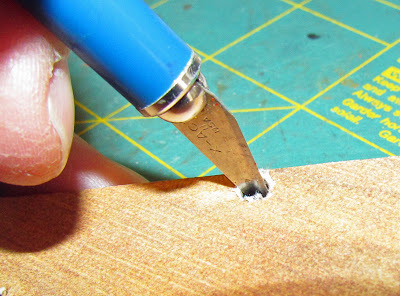 3) Flip the project over, place on self healing mat and trim around the edges with your craft knife. 4) Use the tip of the knife to remove paper from the holes. You can place it into the paper and spin it to remove the excess. 5) Repeat steps 1-3 with the eaves area, all the leaves and the acorns. Be aware of what direction the wood grain is going in so that it look the way you like it. 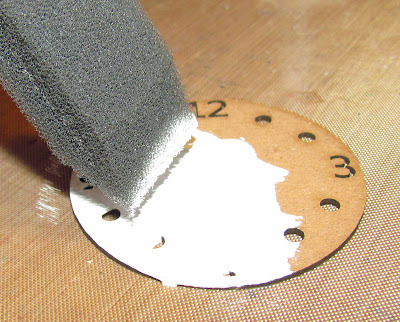 6) Use sponge brush to apply the white paint over the clock face. Let dry. 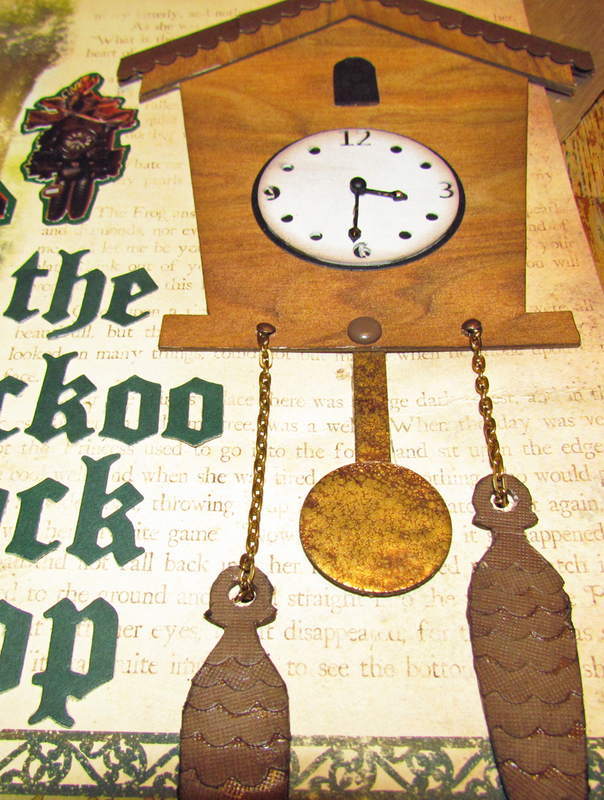 7) Use the Distress Ink and the blender to distress the edges of all of the papered pieces and the clock face. 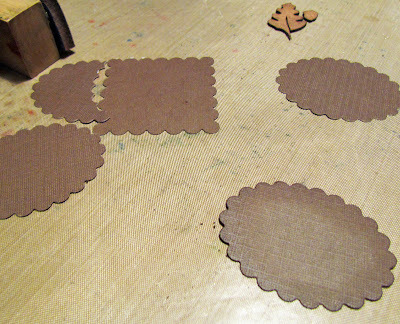 8) Cut some scalloped shapes from the brown card stock and distress the edges as above. 9) Use Glastique on the edge of the roof. 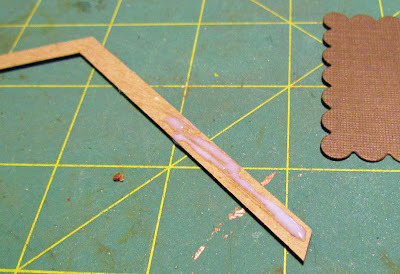 10) Place the scalloped edge of your shape so that it hangs over the side of the roof. 11) Cut against the straight side. 12) Continue steps 10 and 11 until the roof is complete. 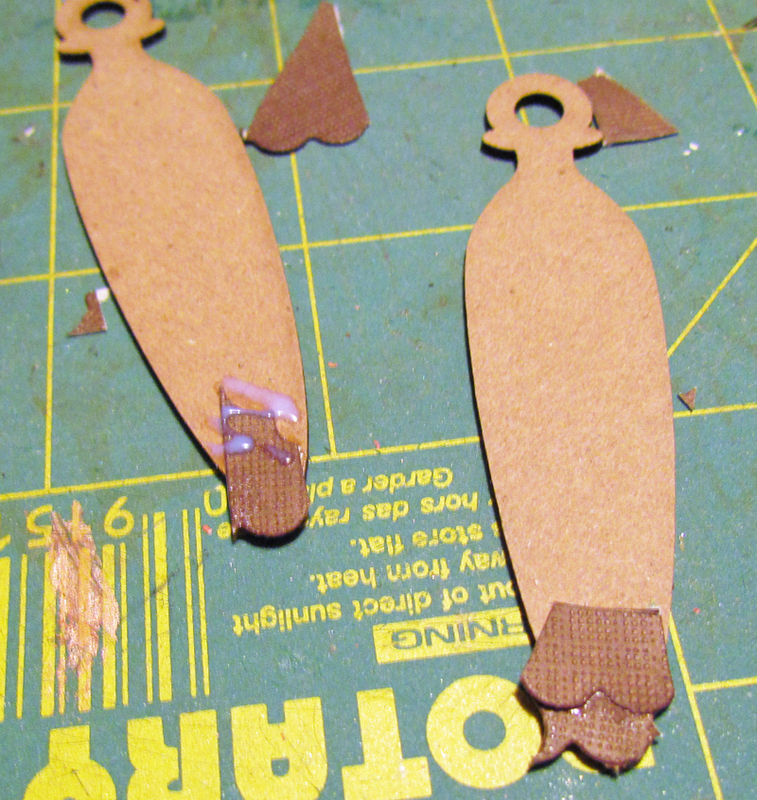 13) Cut wedges out of scalloped shapes and Glastique, to hanging pieces. Start at the bottom. 14) Continue to Glastique the scalloped wedges, overlapping them from the bottom up until both pieces are full. Let dry. 15) Flip over. You will notice that the brown card stock goes over the edge. Trim this with your craft knife. 16) Distress the brown pieces. 17) Cut a circle from the black card stock that is slightly larger than the clock face. 18) Adhere clock face to the black card stock with Glastique. 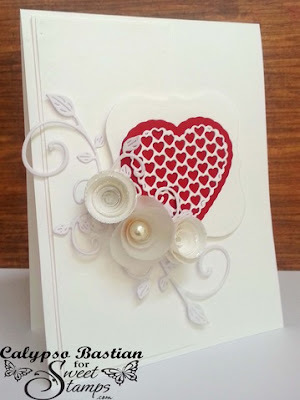 19 ) Cover the small door with Glastiqued black card stock. 20) Use Embossing Powder Adhesive on the clock hands, cover with Vintage Black Embossing Powder and heat set. Make two layers. 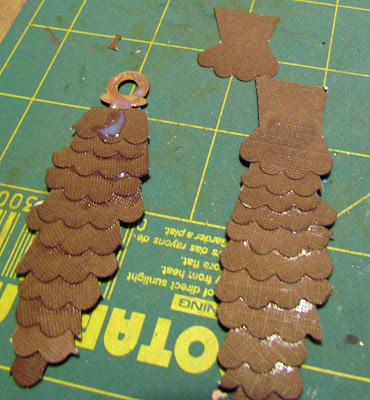 21) Use Embossing Powder Adhesive and Victorian Bronze on the pendulum. Create one layer. 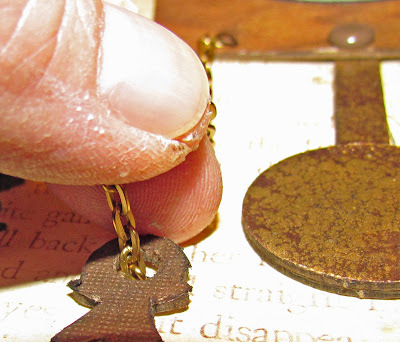 22) For a second layer on the pendulum, use the Vintage Gold Embossing Powder. I used two different colors to create more interest. 23) Use Glastique to adhere the black backed clock face into position. The small holes should line up. 24) Use Glastique to adhere the small door. The bottom should just cover the slat on the backing. 25) Adhere clock to the paper. 26) Place pendulum in place and adhere. The hole in the top of the pendulum should line up with the center hole on the bottom of the clock. 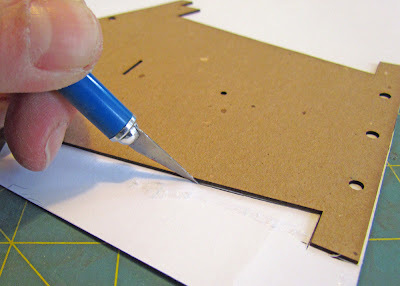 27) Use the Big Bite to create a hole through the two pieces and into the background paper. 28) Place brad through hole. 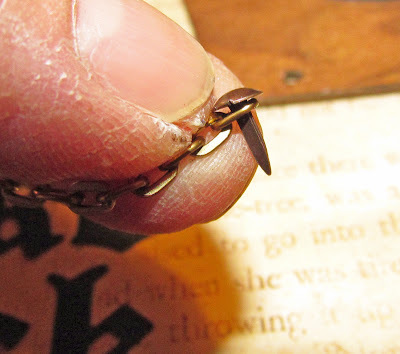 29) Line up the dangling pieces under the two additional holes on the bottom of the clock. 30) Adhere dangling pieces in place. 31) Use the Big Bite to create holes in the paper under the dangle holes. 32) Measure chain slightly longer than the distance between the dangle hole and the clock hole. 33) Put a brad through the end of the chain and into the hole on the clock. 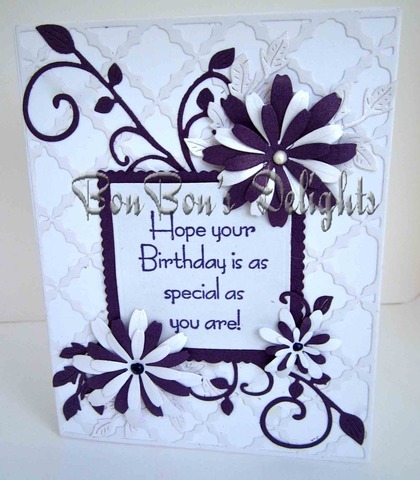 34) Place the other end into the hole on the dangle and adhere to the back of the page. 35) Your clock should look roughly like the picture below before you add the details. 36) Use Glastique to adhere the detail pieces to the clock. Thanks for stopping by today. I have a different project on my personal blog at www.rememberinglifesmoments.blogspot.com, so stop by and take a look. Until next time, goodbye! Good morning! Chrissy here to show you how to use your scrapbook paper to dress up the Teapot Bubble Frame. For this project, I used Glitz Designs' "Cashmere Dame" paper collection and some May Arts bead strands. First, trace the teapot layer with the oval cut out onto the paper. Then cut it out. Next, glue your cutout onto the chipboard layer. Because I wanted to use some Metallic Gold Gel Enamel, I cut the paper off the loop at the top of the teapot. Now apply the gel enamel. While the enamel is drying, it's time to start working on the teacup layers. Go ahead and trace them onto the pattern paper. 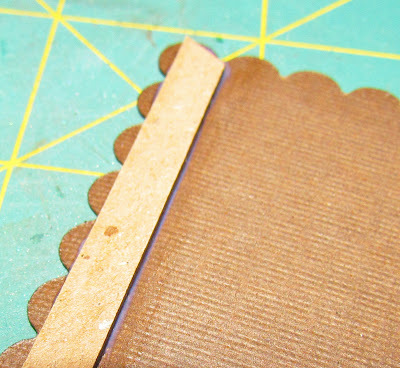 Once you have both of of your teacup layers traced and cut out, you can glue the paper onto the chipboard and then glue your layers together. Now it's time for the fun part. Embellishing! For my teapot, I used some May Arts bead strands, gesso, punchinella, and a cameo. 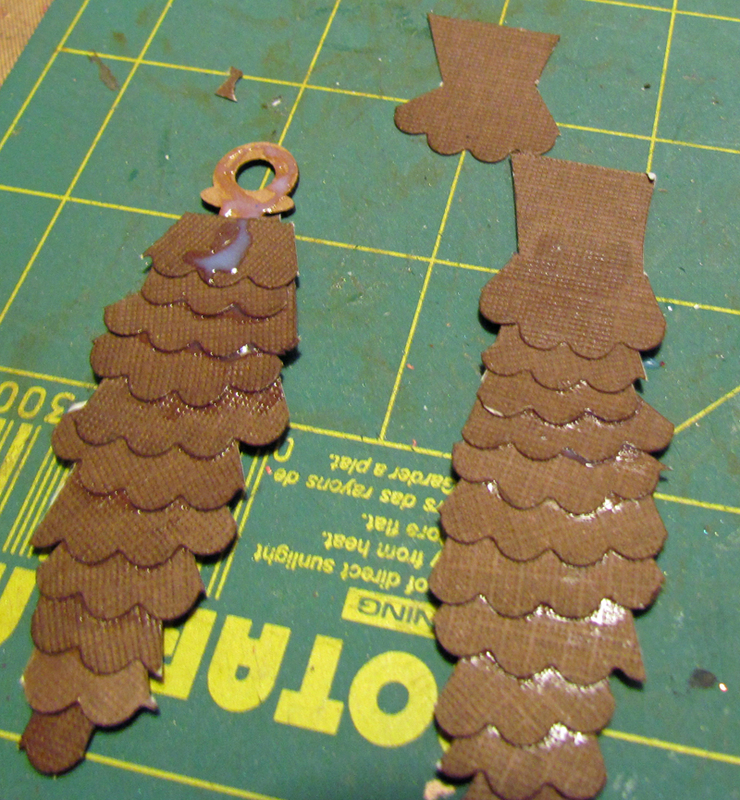 I busted out my trusty hot glue gun and started gluing down my bead strands. Here's what it looks like with all of the beads applied. I brushed some gesso onto the back layer of the teapot. Once it dried, I glued my punchinella down. Now it's time to glue the top onto the bottom and apply the cameo. And there you have it. 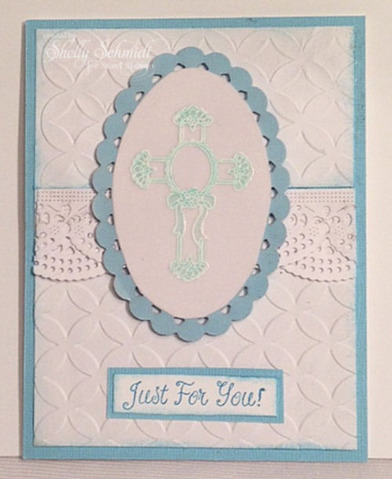 For a quick tutorial on how to use something of this size as an embellishment, head over to my blog and check it out!